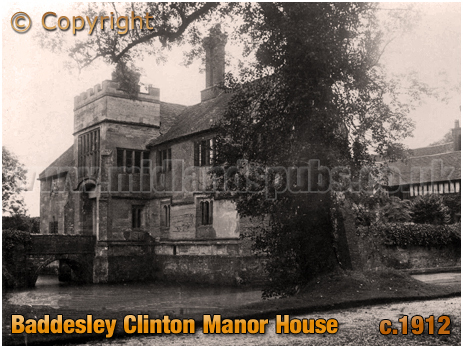 History and Information on Baddesley Clinton in the County of Warwickshire. More information on Baddesley Clinton to follow. I probably created the page as I had a link to Baddesley Clinton from another page. When building the site it is easier to place links as they crop up rather than go back later on. I realise this is frustrating if you were specifically looking for detailed information on Baddesley Clinton. I have placed a few old newspaper articles, along with a few photographs. 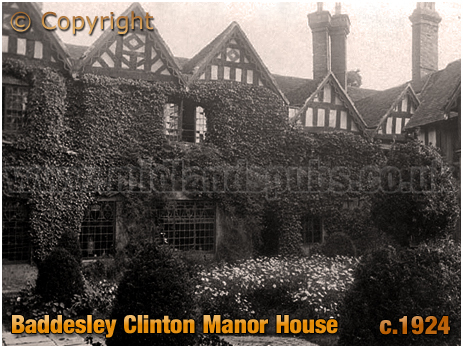 If you have a genealogy story or query regarding Baddesley Clinton you can contact me and I will post it here in addition to including your message within the website pages for Warwickshire Genealogy. 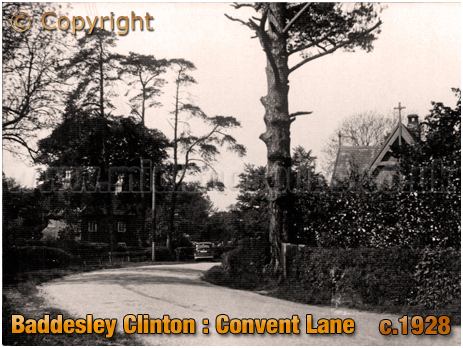 If you would like to share any further information on Baddesley Clinton - perhaps you drank in one of the pubs in the past? 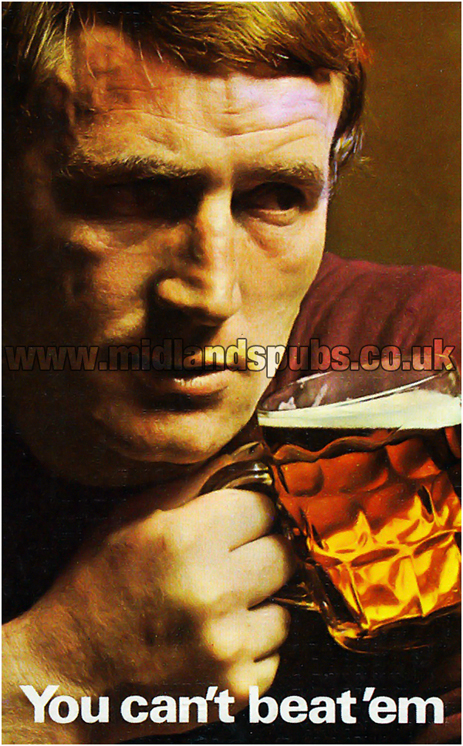 Or maybe knew a previous publican running one of the boozers? Whatever the reason it would be great to hear of your stories or gossip. Simply send a message and I'll post it here. "The great ball and the two bedrooms directly above, in the north-east part of Baddceley Clinton Hall, near Rowington, were damaged by fire late on Sunday night. Solihull Fire Brigade attended and, after using water from the moat, got the flames under control in an hour. The fire is believed to have originated in the chimney on the ground floor. The hall was undergoing renovation. 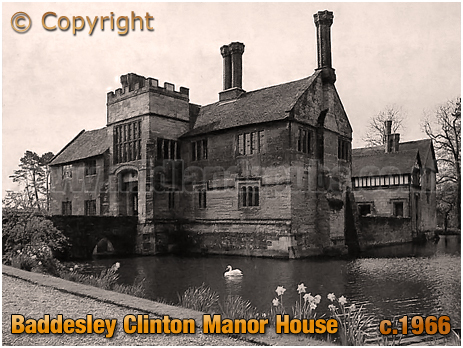 Baddesley Clinton is one the most perfect specimens of a fifteenth century moated manor house in the country. The moat still surrounds it, and is wide and deep. A bridge of two arches spans it at the front of the house to the embattled central tower and ancient door, of which the primitive fastenings were still in use a few months ago, when the Ferrers family left after having occupied the hall continuously since 1530. 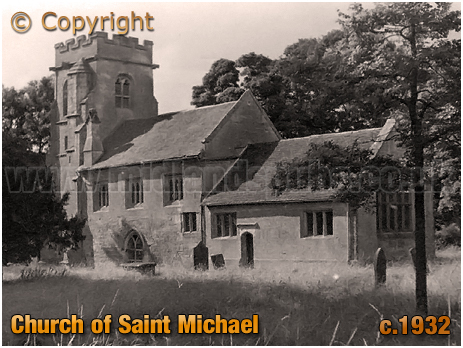 In the parish church are several fine monuments to members of this family, and a stone in the nave marks the resting place of twelve generations of the Ferrers. 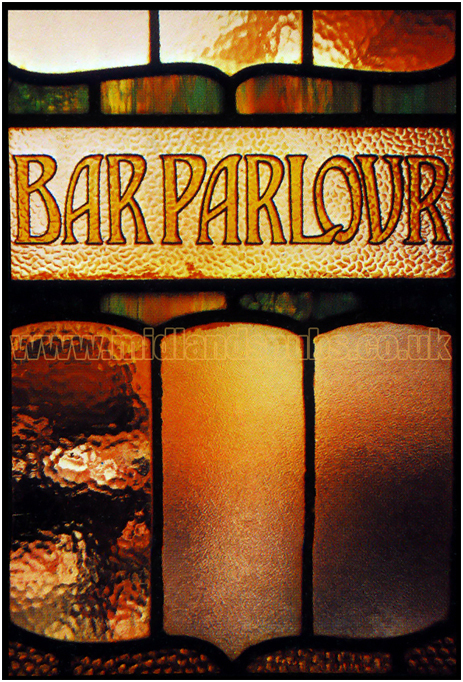 The hall has a richly carved armorial chimney-piece; the walls; the walls are panelled in ancient oak, and there is some fine heraldic glass in the windows. 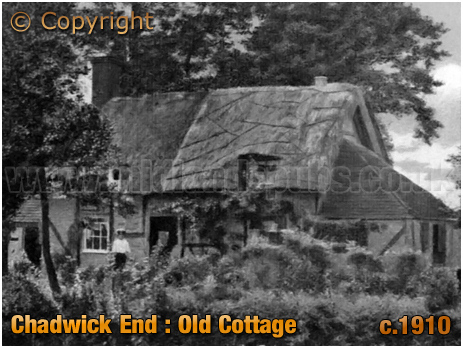 It was bought in March last by Mr. W. Coker Iliffe. 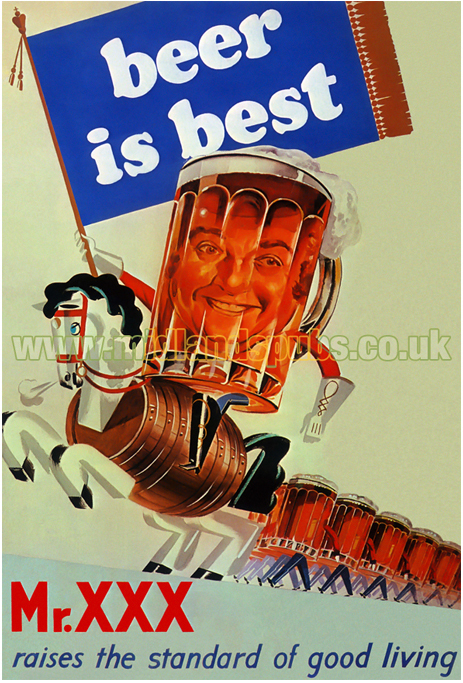 and has since been acquired by Mr. G. Thomas Walker, of Knowle, chairman of Thomas Walker. Ltd., of Birmingham." 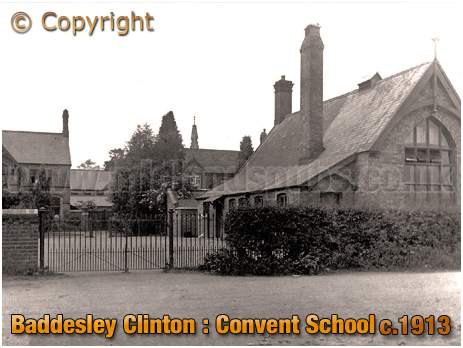 "Fire at Baddesley Clinton Hall"